Mid-Autumn Festival is weeks away. The festival is held on the 15th day of the eighth month in the Chinese calendar. This year it falls on September 19th. The festival often involves the gathering of family and friends, lots of food, and fun times. One of first foods that comes to mind is, of course, the mooncake, which are often shared among family and friends in celebration of the festival. There are traditional mooncakes, regional varieties, as well as modern and innovative versions of the treat. 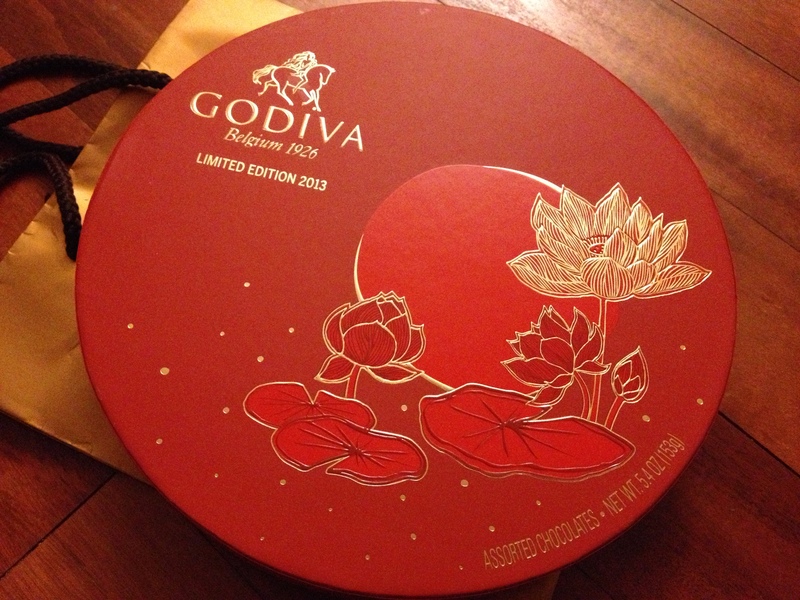 In time for Mid-Autumn Festival, Godiva recently released a limited edition chocolate mooncake gift set. The gift sets have been available in Asia for a few years already, but this year they are available in the US. The red round box is embossed with gold lotus flowers and features a dark chocolate mooncake with a layered filling of orange, red currant and lemon zest, with chestnut pear rice crisp as a centerpiece. Godiva chocolate mooncake gift boxes retail for $50 a box and will be available at select locations and online for a limited time only, until September 19th.